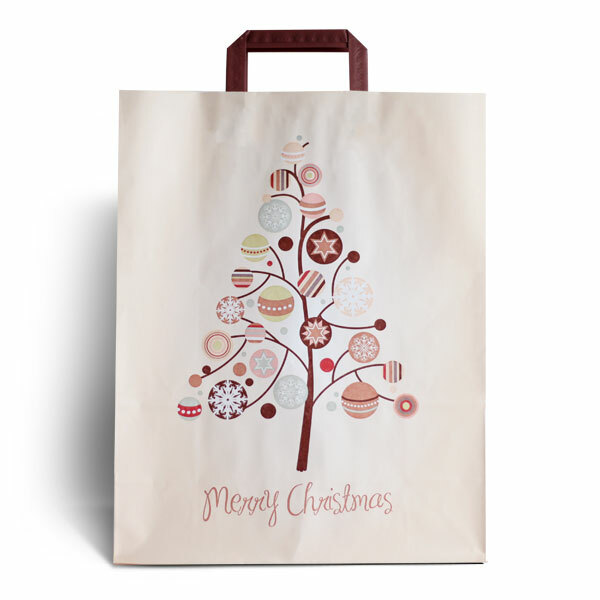 A beautifully designed Merry Christmas Flat Handle Carrier Bag that ensures that your goodies are presented in an enchanting design. 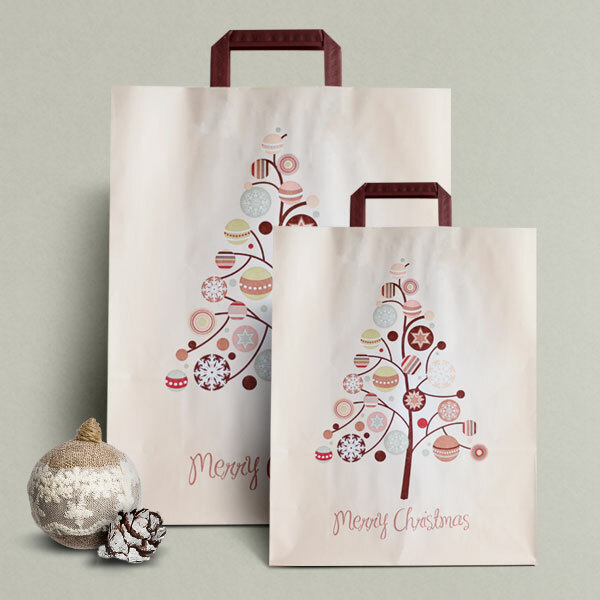 Make your recipient delighted with this subtle and classy carrier bag which features brown flat handles which coordinate very well with the featured graphic. Any businesses looking for some unique festive packaging. 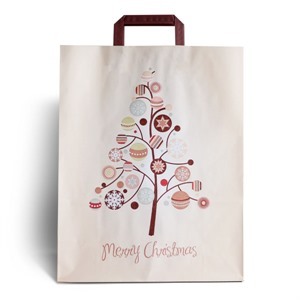 The bag can double up as a gift bag as it is unbranded.